Since the importance of a well-balanced gut microflora for adequate health and high performance has been recognized, feeding strategies have been directed to control the microbial gastrointestinal environment by nutritional means. One key strategy is to feed directly the microorganisms which are supposed to exert beneficial effects in the gut. Probiotics are live, nonpathogenic bacteria that contribute to the health and balance of the intestinal tract. They are given orally to poultry to help the birds fight illness and disease. 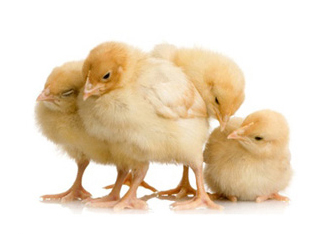 ZOOM® beneficially affects gut health by modification of the gut microflora, especially in young birds and animal, in which a stable gut microflora is not yet established. ZOOM® uses probiotic strains specifically selected for their ability to maintain a healthy gut microbial population under stress and challenging environmental conditions.